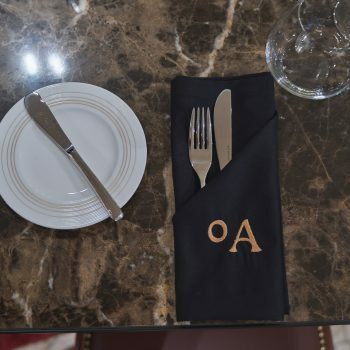 O Ato Restaurant, located in The Artist boutique aparthotel, is also based on the artistic concept that inspired the whole project. A recognition of the act of cooking, plating and serving as a true art form that awakens the five senses. 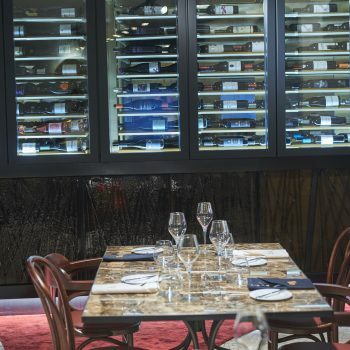 Savouring a dish in this restaurant involves the whole atmosphere, evoking the most varied artistic forms, from architecture to dance, from fashion to cinema. The resident artist is the esteemed Michelin star chef, Miguel Laffan. 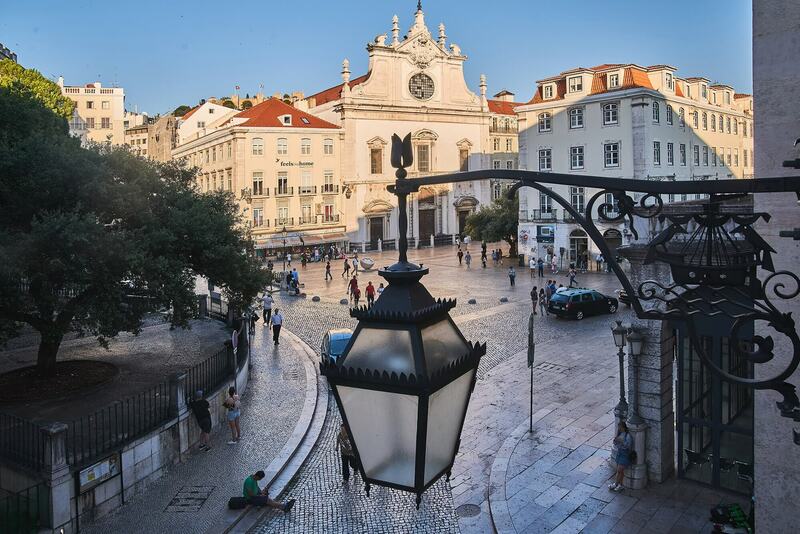 His phenomenal menu enables you to taste the most traditional Portuguese flavours, especially ones from Lisbon, mixed with the modernity that characterises us, paired with exclusive O Ato wines from the Lisbon region and Tagus Valley. The atmosphere is dominated by warm hues, a reference to the colour of wine, culminating in a fountain with bottle-shaped spouts, an analogy to the emblematic scene played by Vasco Santana in the famous ‘Pátio da Cantigas’ film, in which, after the actor has made a hole in the wall, red wine gushes out of it. 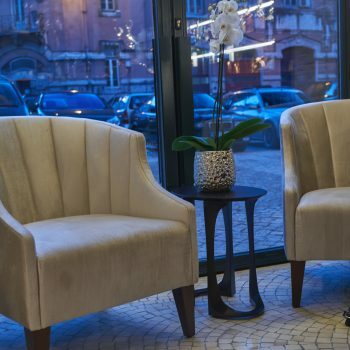 This is the starting point for the whole concept of this space, invaded by this wine stain that expands in every direction: from the restaurant to the reception, passing through the common areas and flooding the rooms. Evoking a cultural reference, Portuguese calçada is present throughout the ground floor, merging tradition with contemporaneity by bringing the work of the calceteiro (paver) to the scene in this artists’ house. As if it were a small stage, “o Ato invites us to step into this scenario and play a role, which brings the past to the present,” describes interior designer Nini Andrade Silva. O Ato can seat 48 people indoors, while also offering tables on the terrace. There is a bar serving signature cocktails and a menu with classic cocktails.